The Dale City Civic Association is pleased to offer community/volunteer service hours to any high school students, or to anyone that would like to help at these events. We will have a community "Easter Egg Hunt". Come help us spread goodwill and help with the planning and/or activities. Please come and join us. There will be games, food, a DJ and more. *A rain date will be announced if necessary. We Partner with ten other organizations to put on one of the best parades in Pr. Wm. County. D.C.C.A. is still spearheading the Family Fun Day, half of the parade. Some of the other organizations have really been pitching in to help. NO MEETING THIS MONTH Go on a vacation & have fun. Meetings resume with your ideas for holiday baskets and fundraisers to raise money for scholarships! High school seniors residing in Dale City please review the criteria and apply for DCCA scholarships to help fund your college education. The application and the criteria are located below as Microsoft word files (.docx) that can be downloaded. 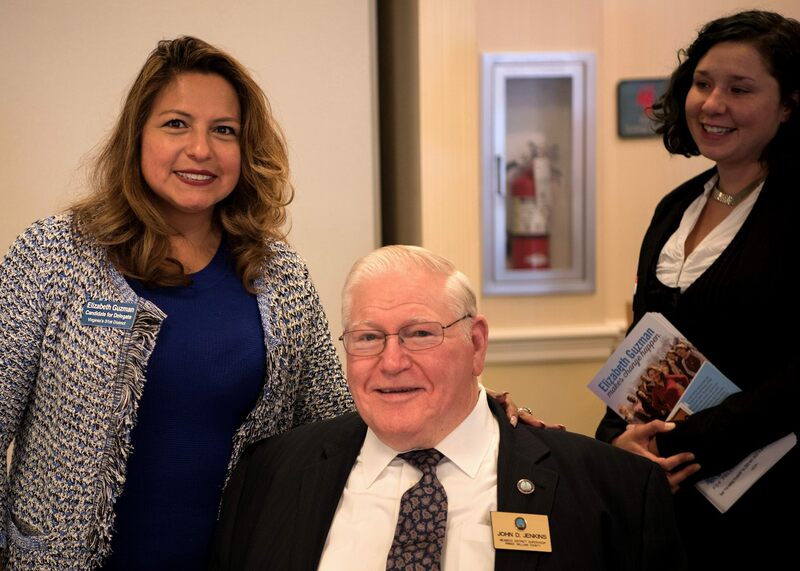 Thanks to the community spirit shown by many individuals, businesses, and groups in connection with the Dale City Civic Association’s 3rd Annual Community Backpack and School Supply Drive, schools in the Neabsco District of Prince William County will have more of the supplies necessary for a successful 2018-2019 school year. 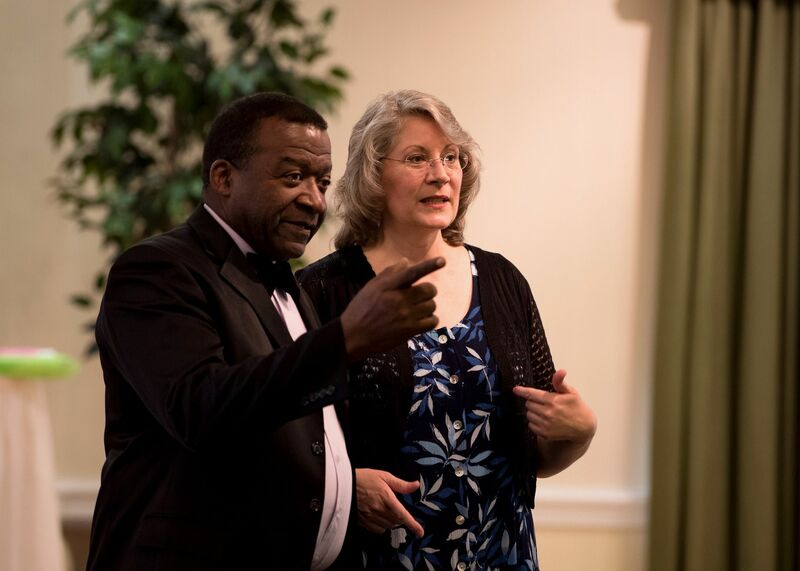 There will be more opportunities throughout the year to join Dale City Civic Association, “The Voice of Dale City” as we work to better connect with our community and initiate events and projects to make this an even better place to live, work, and play. Please visit our Facebook page and website regularly (www.dalecitycivic.org), join us for regular monthly meetings the second Thursday of each month at 7:00 p.m. at the Birchdale Recreation Center Community Room, and be part of efforts to make a difference in this, your community. Autism is a lifelong disorder for which there are treatments, but no cure and which affects each individual differently within a wide spectrum and the effects can change throughout the individual’s life. There is some genetic basis and likelihood of occurrence with several individuals within a family. Right now, autism affects 1:68 individuals. Signs include: lack of typical social interaction, different sensory input and output, repetitive movements, difficulty with change, and communication impediments. Early diagnosis is a key to planning for and building a healthy life. If a family member, medical professional, friend notice tendencies and proper help is sought, there is a much better prognosis. After formal diagnosis it is very important for the individual and family to seek help and support from groups like ASNV, the ARC, etc. If the individual is a child, it is important to work within the school system to develop a helpful Individual Educational Plan (IEP). Support groups and churches, etc. often have conferences and there is an advocacy day each year in the General Assembly. Much more needs to be done in this regard as Virginia is 39th out of the 50 states as far as autism support. It is important for families with members affected by autism to seek advocates (some are available pro bono), keep very organized, extensive records, and be aware of things to be considered such as Social Security, respite care, guardianship, and power of attorney. ASNV runs on donations, grants, fundraisers, and volunteer power so any way in which groups and individuals can help in those areas are needed. Please Invite your neighbors and attend future DCCA meetings held the second Thursday of each month except August and December at the Birchdale Rec Center at the intersection of Dale Boulevard and Birchdale Road. Be part of the Voice of Dale City! Attendees at the January 11, 2018 DCCA general meeting once again were given information to help them with an issue that is important to everyone-in this case, home ownership. 2nd Vice President Monique Ralston-Ratliff introduced our evening’s speaker, Regina Pinckney from VA Housing Development Authority. Our president and 2nd vice president met Ms. Pinckney at a recent Black Business Expo at Ebenezer Baptist Church. FHA has mortgage insurance for the life of the loan. Many people don’t have the approximately $10K to put down into getting into a home. VHDA will help set up a 101.5% loan with no closing costs if the applicant has at least a 1% reserve based upon the amount of the home’s cost. They have loan programs that will work with someone with a credit score as low as 620 and still finance 100% of the loan. Through Fannie Mae there is a 97 no MI where an applicant puts 3% down and requires no mortgage insurance. There are also grants available for qualified applicants for percentages of closing and they are forgiven at time of settlement. There are mortgage credit certificates free with VHDA loans that go towards the 20% interest you pay which helps with taxes. 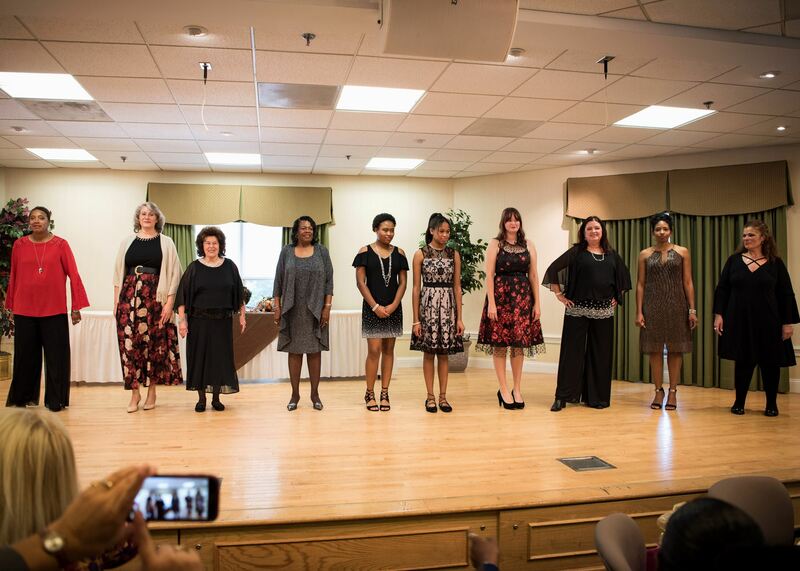 Dale City Civic Association's First Fashion Show on October 28, 2017 was enjoyed by DCCA members and friends from around the community alike. Good food, beautifully featured fashions, fabulous door prizes, exciting vendor wares, and plain old socializing made for a great event-the organization's first big fundraiser to benefit the scholarship fund. Thanks to: Westminster for the venue and food; Dress Barn for gorgeous apparel worn so beautifully by our models; vendors Holly Jenkins and Lisa Grant; those who provided support through ads, door prizes, and attendance; Mike Beaty for photos to post; Joe Sweatnam for musical accompaniment; and the DCCA members on the event committee. Great job everyone! Here's to more such events and expanded service to our awesome community! 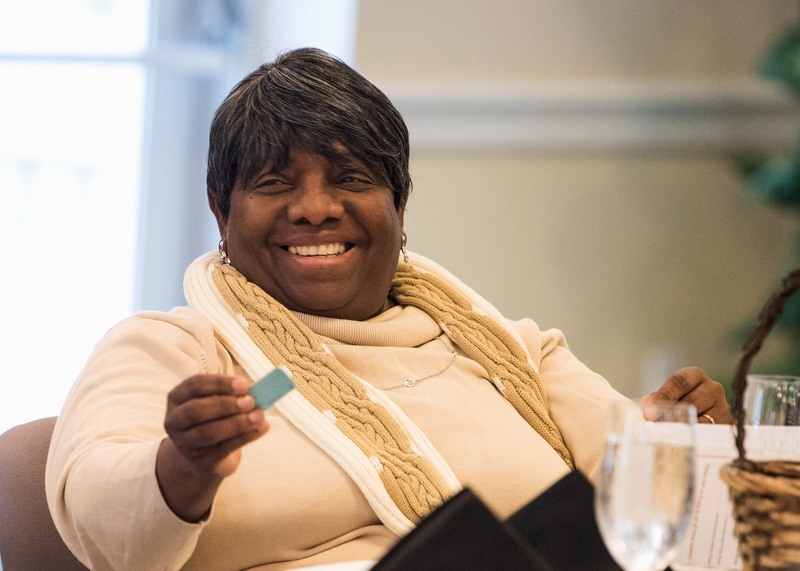 Ernestine Jenkins has has devoted her life to public service and supporting Gar-Field High school. She has been an advocate for education and continues to stay involved with Gar-Field. Ms. Jenkins annually supports back-to-school nights, athletic activities and homecoming events, and is actively involved with the scholarship committee for outstanding students. 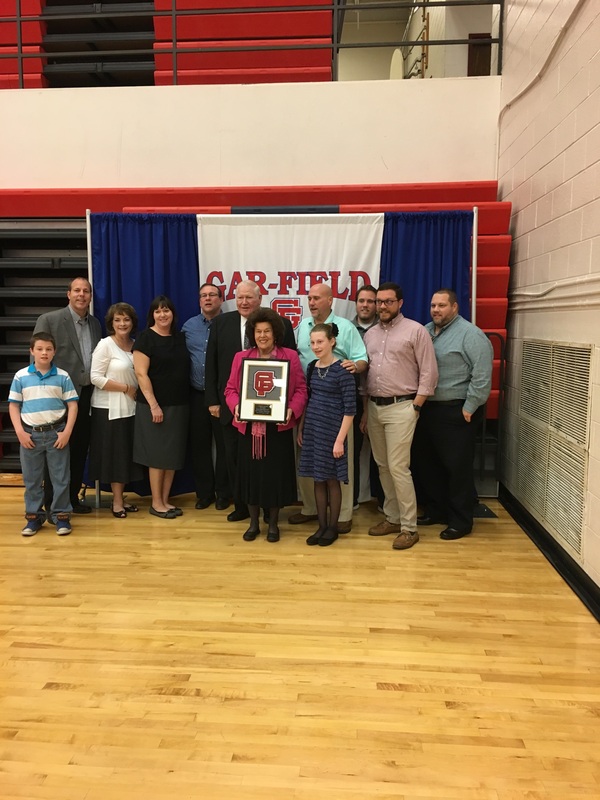 Her support for Gar-Field goes back the 1970's when her three sons played football. Ms. Jenkins has also been active in the Boosters Club for many years, raising funds for team uniforms and other necessities. 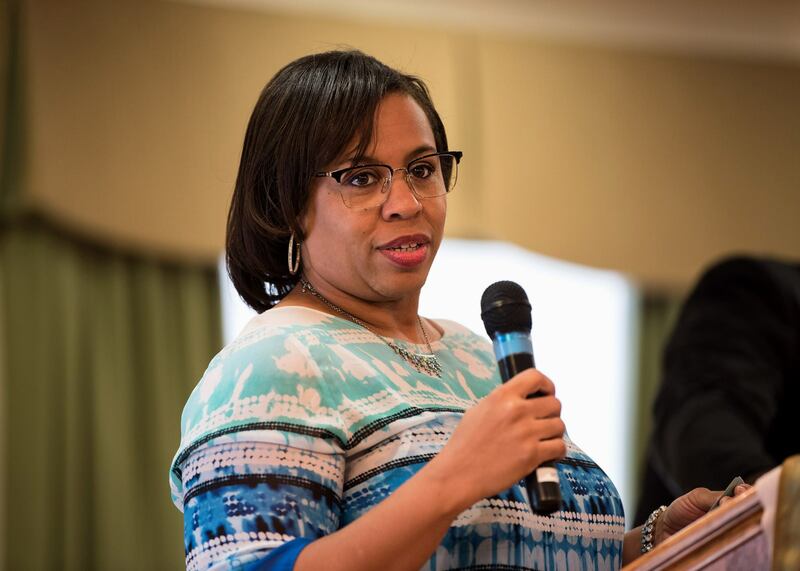 Ernestine continues to hold Offices and volunteers in multiple Dale City organizations. 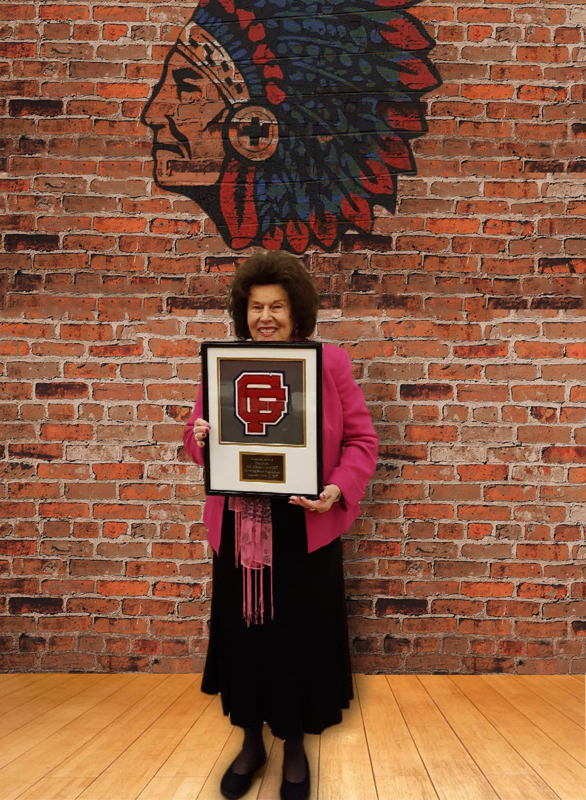 She has been an advocate for education and continues to be involved at GarField, attending athletic, musical and boosters events. 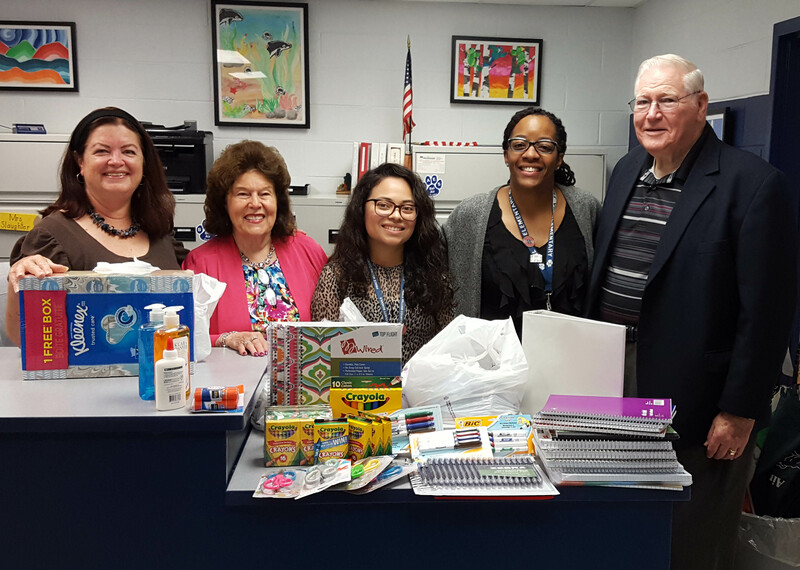 Thanks to the extreme generosity of Whitlock Wealth Management and employees like Valerie Meale, Dale City Civic Association was able to wind up its school supply drive by delivering a substantial amount of items to Mrs. McDonald and her staff at Bel Air Elementary. The staff indicated the supplies would really make a difference to many students. 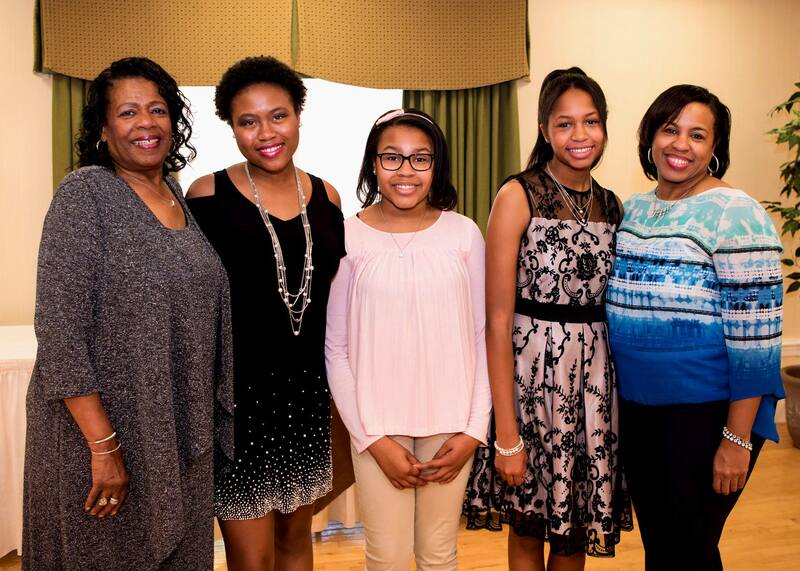 Be part of community efforts like this by joining the Dale City Civic Association. The "Voice of Dale City" organization meets the second Thursday of each month at 7:00 p.m. at the Birchdale Community Center.